Seymour Johnson Air Force Base, N.C., has been chosen as the preferred alternative for the first Reserve-led KC-46A Pegasus main operating base, Air Force officials announced Oct. 29. The KC-46As are expected to begin arriving in 2019. Tinker AFB, Okla.; Westover Air Reserve Base, Mass. ; and Grissom ARB, Ind., were named as the reasonable alternatives. “It is absolutely critical that we replace our aging tanker fleet with the KC-46A Pegasus aerial tanker,” said Secretary of the Air Force Deborah Lee James. “I am pleased to announce Seymour Johnson AFB as the first Reserve-led location because it is a testament to the Air Force’s commitment to the total force. James also explained the 179 planned KC-46A aircraft are just the first phase of a three-phase effort to replace the aging tanker fleet. The first phase of tanker recapitalization will complete deliveries in fiscal year 2028. During detailed, on-the-ground site surveys of each candidate base, the major commands evaluated the bases against operational and training requirements, potential impacts to existing missions, housing, infrastructure, and manpower. The site survey teams also developed cost estimates to bed down the KC-46A at each candidate base. The results of the surveys were briefed to James and Air Force Chief of Staff Gen. Mark A. Welsh III, who selected the preferred and reasonable alternatives for this mission. 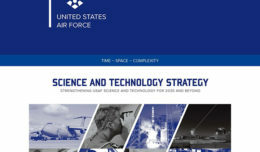 Selection of this total force unit will minimize costs and the challenge of fielding a new weapons system while simultaneously establishing a new active association. 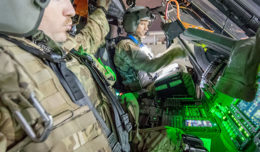 The Air Force will also ensure Reserve component involvement from day one by establishing active/Reserve associations at all U.S. main operating base locations. “We will now begin the Environmental Impact Analysis Process (EIAP),” Miller said. “We look forward to the inputs provided from the communities as we proceed through the environmental impact analysis. Reasonable alternatives will continue to be evaluated during the EIAP. Subsequent KC-46 decisions will use similar criteria; therefore, candidate installations will likely compete for future continental U.S. basing decisions. The KC-46A will provide improved capabilities, including boom and drogue refueling on the same sortie; worldwide navigation and communication; cargo capacity on the entire main deck floor; receiver air refueling; improved force protection and survivability; and multi-point air refueling capability.